The Lerdo-Las Cruces relationship began in 1982, seven years before the actual affiliation with Sister Cities International. The initial reciprocal agreement between the two city governments was followed almost immediately by an educational exchange between Dona Ana Community College (DACC) and the Centro de Bachilleratio Technológico Industrial y de Servicios Numero 4 (CBTis4) of Lerdo Durango, Mexico. 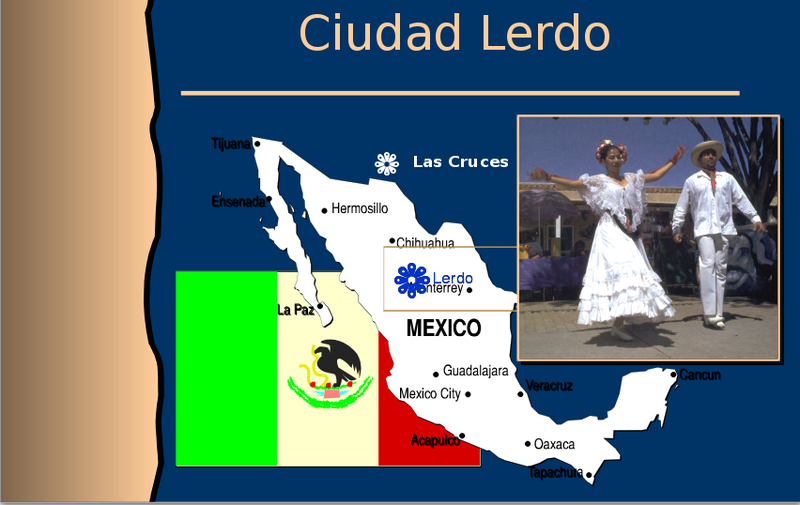 Located approximately 600 miles south of Las Cruces, Lerdo’s population is nearly 100,000. The city is sited near the Nazas River, which flows much like our Rio Grande. It is surrounded by orchards and vineyards. Lerdo is well known as an agricultural community, growing alfalfa, corn, tomatoes, pecans, chile, sorghum and wheat, as well as poultry. Each July, there are cotton and wine festivals. 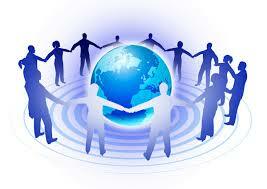 Other natural resources include silver, lead and marble. With its beautiful architecture , city square, quiet streets and lush parks , Lerdo offers a heaven of relaxation for its citizens and visitors.